NLP store. Add width and depth to your training. We have the very best resources in our store. Over the last ten years we’ve developed a series of resources for our NLP store to supplement our group and 1:1 training. The right CDs, DVDs, videos and books can make a significant difference to your training. 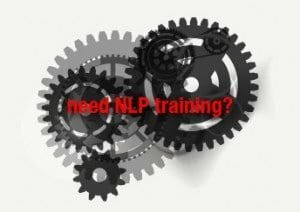 We strongly suggest that you attend quality group or 1:1 training at the beginning of your NLP learning experience, however we also realise this is not always possible. CDs (and MP3s) are a powerful way to supplement your learning. Particularly when you find a time and place where you’re unlikely to be disturbed. When you’re comfortable with the CDs and their content, you can use them to model the originator by listening with a relaxed and softened posture and attitude. We’ve divided Richard’s CDs into two sections: the later ones with both great content and sound quality and the earlier ones which have great content but less good sound quality. In both cases, we recommend you listen with headphones. DVDs are also a great way to learn. 3) you can replay them many times. Please note these DVDs were recorded some time ago and the recording quality is of its time. You can check out the video quality from the extracts below. See our NLP DVDs and watch our video extracts. We have recently become a partner of METV, the world’s most advanced training program in Micro Expressions. This program is very useful for people involved in sales, negotiations, management and HR. Micro Expressions are very short muscle movements that reveal hidden emotions. See Free 2 minute test and access to full online trainings. We’ve created a short series of free videos outlining some of the key concepts of Neuro Linguistic Programming for planning success. They’re an ideal starter for anyone considering NLP training, or as a refresher for existing practitioners and master practitioners. View our NLP and Success 8 part Video Training. We are continually adding to our range of videos. NLP books are very much about who you are, and where you are on your learning journey. We’ve selected a wide range of books for our practitioners and master practitioners. See NLP books.